Beldangi-1 Bhutanese Refugee Camp vacated - Integration Through Media ....! DAMAK: Once a bustling place populated by the Bhutanese refugees, the Beldangi-1 Camp in Damak Municipality of Jhapa district now wears a deserted look, thanks to the Third Country Resettlement launched since 2007. According to Camp former secretary Sancha Hang Subba, a small number of Bhutanese refugees left to be resettled abroad were relocated to Beldangi-2 and 3 by building temporary houses for them. There were altogether three camps in Beldangi and rest four camps in Jhapa itself and Morang district where more than a 100,000 Bhutanese refuges were allowed to stay since a staggering number of Bhutanese of Nepali ethnicity had fled the ethnic conflict in Bhutan some two decades ago. A core group of eight countries-Australia, Canada, Denmark, New Zealand, the Netherlands, Norway, the United Kingdom and the United States of America- came together in 2007 agreeing for the Third Country Resettlements to create this opportunity for Bhutanese refugees to begin lives. 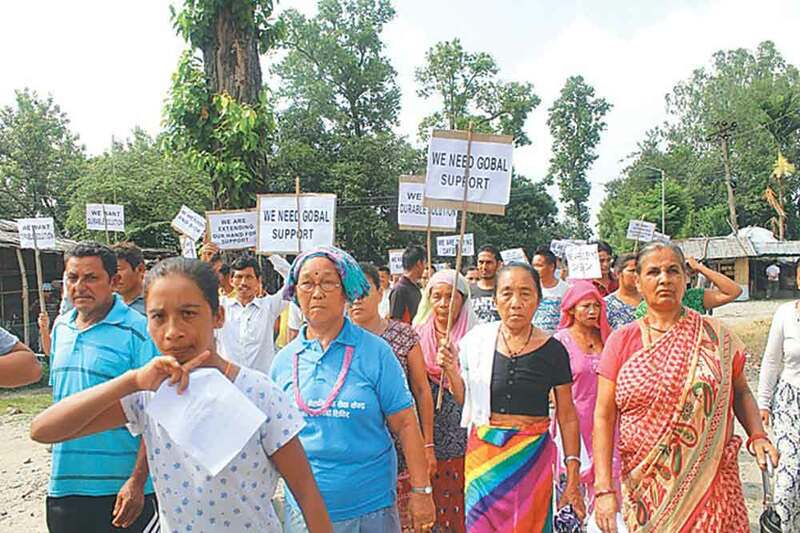 Former Secretary Subba shared that all those shelters in the Beldangi Camp-1, which was once home to some 25,000 Bhutanese refugees, have been demolished and removed. There are altogether 6,143 verified Bhutanese refugees living in Beldangi Camp 2 and 3 as well as Pathari Sanischare Camp who are left for resettlement to the third countries, said the Camp Management Committee while a total of 1,741 Bhutanese have been claiming for authentication of their refugee status with the concerned authority.